With talk that the 6th generation of the Apple iPhone could be launched as soon as September, case manufacturers are already hard at work producing new models for the next version of Apple's iconic smartphone. 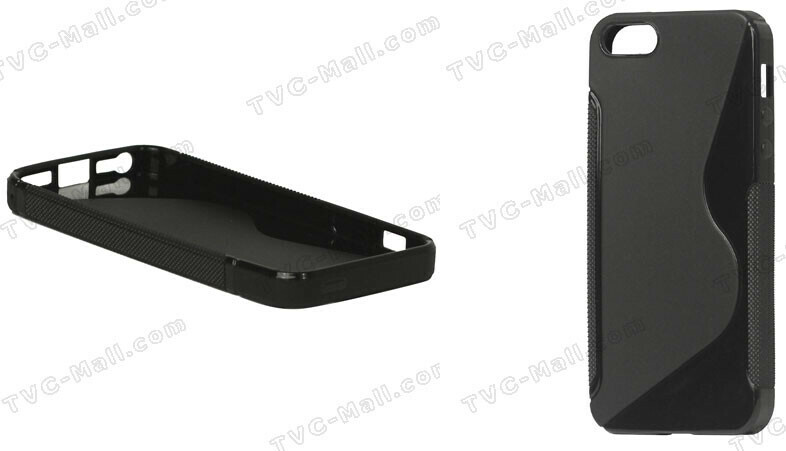 China's TVC-Mall.com is now offering its new cases for the upcoming version of the Apple iPhone and following rumors, the case has room for a taller 4 inch screen, a smaller dock connector, and an earphone jack that is now on the bottom of the device. Of course, the case manufacturers are rolling the dice and taking the gamble that information they use to determine the hardware specs of the new Apple iPhone are correct. 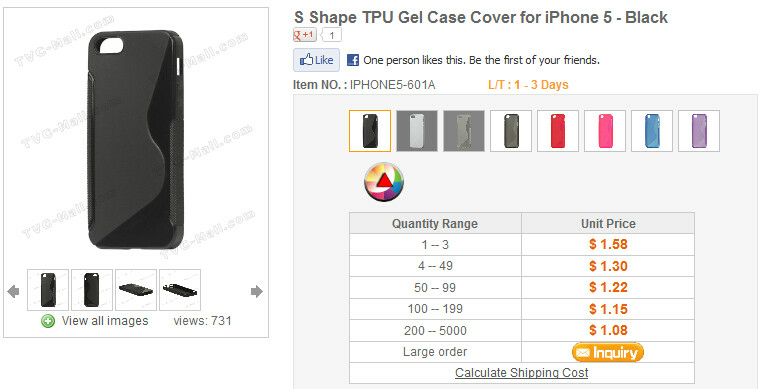 That is why TVC-Mall.com has a notice by the cases that it cannot "guarantee this product can be used in iPhone 5." Besides the taller screen, smaller dock connector (rumored to have 19 pins, down from 30) and the new location for the earphone jack, the updated design of the Apple iPhone is expected to include moving the Face Time camera so that it will be centered above the screen. Leaked case designs for the new mini version of the Apple iPad confirm the smaller 19 pin dock connector. On Tuesday, we told you that the new in-cell touchscreen technology adopted by Apple will allow for the device to come to market with a thinner touchscreen than the current model. A photo allegedly of the front plate of the new Apple iPhone confirms the taller and wider screen, which will offer a 16:9 aspect ratio. It also shows the centered Face Time camera. While Apple has yet to introduce the phone, there is some speculation that the Cupertino based tech titan would like to release the phone in September so that sales could be accounted for in the company's fourth fiscal quarter which ends at the end of that month. Really hoping for sort of a different design, not just an enlarged iphone 4 and 4s. I am 99% sure there will be some sort of adapter made. At least a 3rd party one. We jus gotta wait and see. Verizon will join? They've carried the iphone since the 4. I still cant figure out why Apple is still holding on to their proprietary connectors? You are already screwing your exisiting accessories with new 19 pin connector.... why not just join the rest of the world and go Micro USB? proud ifan here. Happy to spend the money on their products. Look forward to buying this phone and any/all accessories needed. Best company in the world, most valuable company in the world and best products in the world. Anyone else disagreeing are just bitter. Signed, Me. Or you could raise kids that don't get so easily brainwashed. That's my plan. No kids ehh? Who's baby is that in your profile pic or do you just find pics of children online and save them to your pc? Not at all. He just lacked the imagination, wit, and creativity to come up with his own come back so he decided to copy, paste, and edit.